In the dark bowels of the earth, something evil stirs. Demons and the undead burrow through the ground; spawned from the dark pits that lead to the wicked underworlds where the dark gods reside. 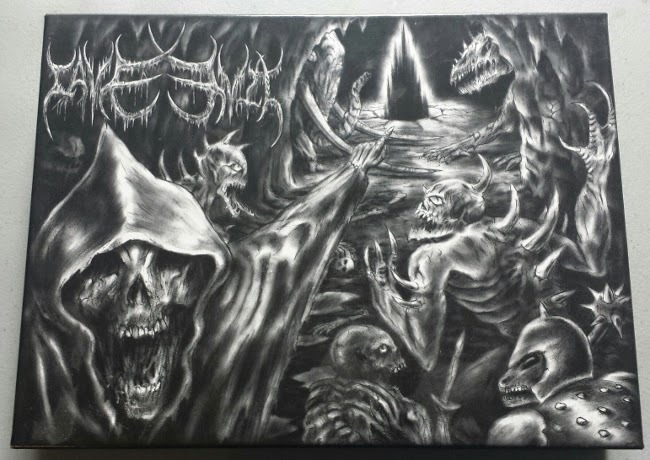 You are a necromancer in this evil place: one who can control the monsters, and summon powerful dark magics. You seek to become the ultimate evil, but there can only be one new Dark god, and others are vying for your power. 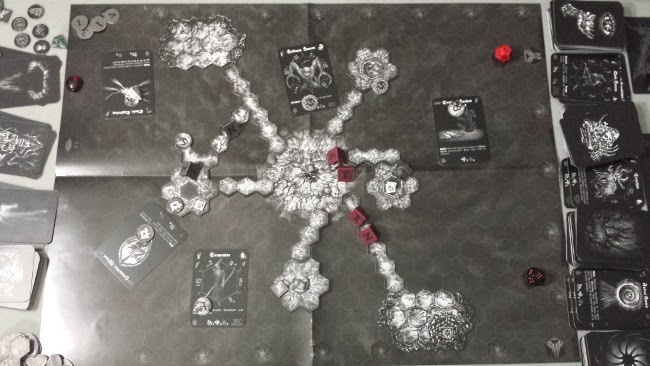 Cave Evil, by Emperors of Evil is a hex and counter war game. 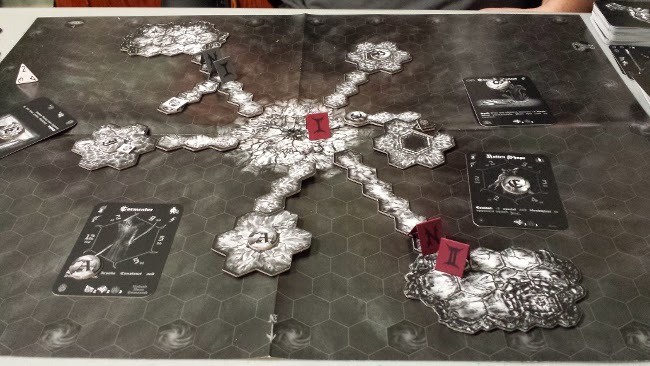 Each turn players get new spells and resources, activate their squads and battle over the monsters, items, spells and resources that spawn on the map. 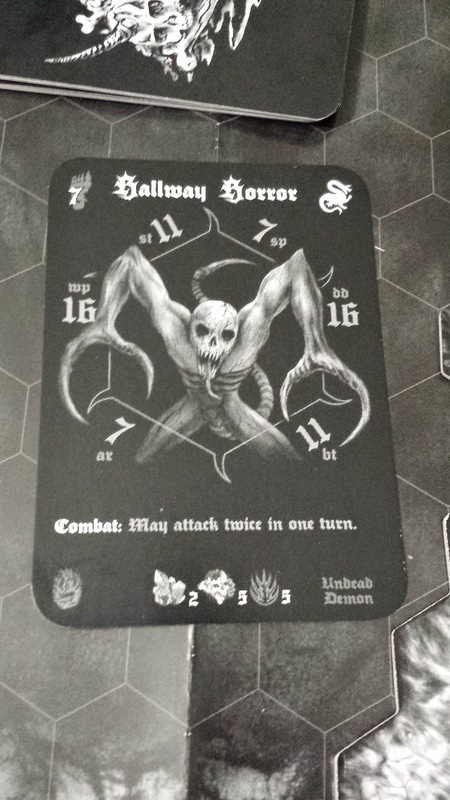 Battling with creatures uses the stats around their "blade hex" and adding them to a d12 roll. The best two out of three wins the combat round, and the other creature is ripped apart into Gore resources. Each of your squads is represented by a little marker on the game board, and using your control cards, which tell you what is in each squad. Your squads can dig tunnels, cast spells, pick up resources, and battle depending on their stats. 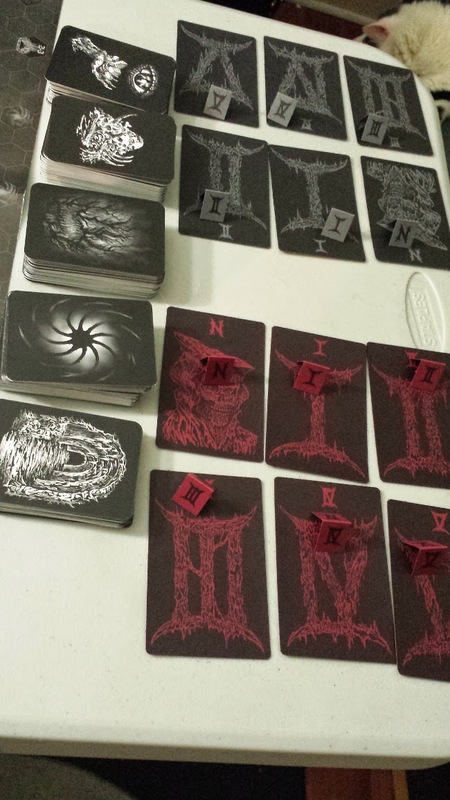 You win the game by killing all the other necromancers, or by pleasing the dark gods and completing the task on the awakening card. 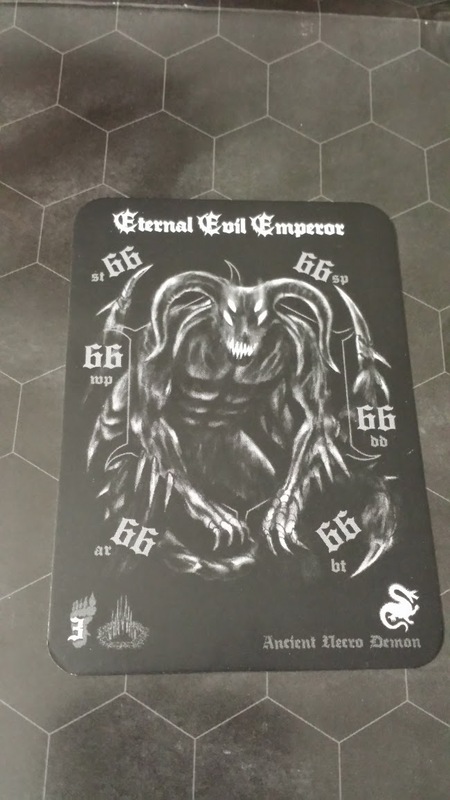 For our first game we our awakening card was the Eternal Evil Emperor. When he awakens, you must please him by killing more than the other players, which let's you command him to destroy the others. 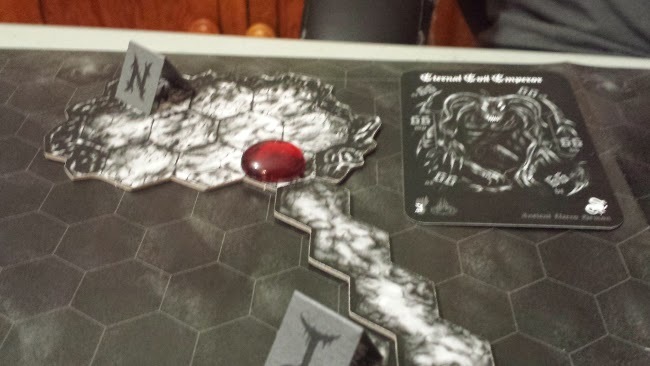 Cave Evil feels like a classic fantasy board game from the 80's. 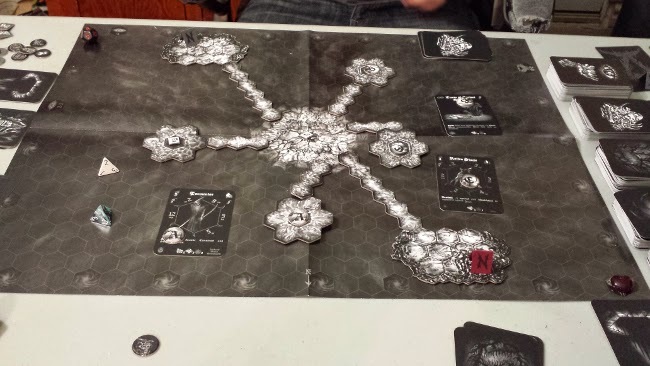 The art is wonderful, and the game play is easy to understand, while still providing a challenge. If the darkness calls to you, and you feel ground swell with the energy of evil gods, Cave Evil just might be your cup of tea.